Tales from the Real OC (Really! ): Next Stop---Paris!! Thanks to my awesome French publisher, Michel Lafon, I'm on my way to Paris to sign books at the Children's Book Fair, and I can't even begin to express how excited I am! 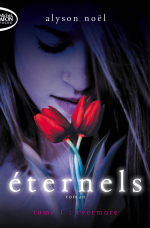 Not only is Paris one of my all time favorite cities, but my last visit to the Book Fair three years ago was such an amazing event, I can't wait to return and thank my lovely French readers for supporting the books, taking THE IMMORTALS series (ETERNALS en Francais) to #1 on the bestsellers lists! I have two signings scheduled, and I really hope to see YOU there! Wednesday, November 26, 3:00-5:00 p.m.
Saturday, November 30, 2:00-4:00 p.m.
Do Immortals Have Spirit Animals? Their Destiny is on the HORIZON…. LESS THAN ONE WEEK UNTIL …. Win a Pair of Official Soul Seekers Earrings!